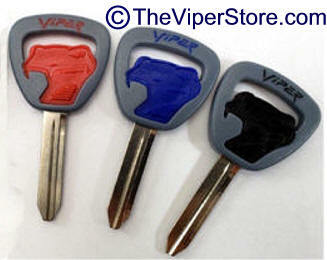 EB-DV2-KSE-COLOR Dodge Viper (1994-2002) Special Edition Key - Choose Color! Rare and very hard to find. For all years of Vipers. Viper Gen I/II Logo 1994-2002. 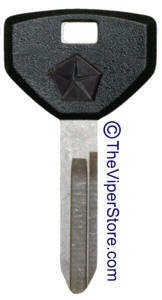 Uncut OEM Viper Key blank. Includes Special Edition Viper Snake Head Logo in Color. One brand new uncut key. 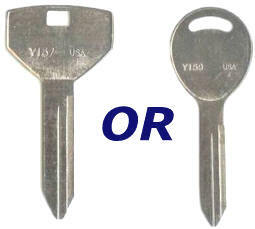 Simply have cut to fit your existing key. This key is no longer available at your Dodge Dealer. Very Limited numbers - available only while they last. This is a Non transponder Key. 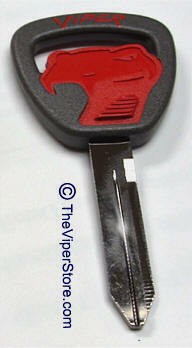 Replacement key blank for Dodge Viper. Use it as a back up key or every day key. For years 92-02 of Vipers. Viper Gen I/II Logo. Includes Viper Snake Head Logo. This is a brand new factory remote. 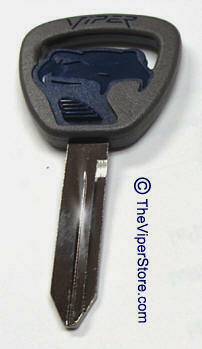 Works on any (92-94) RT/10 Viper with a factory keyless remote entry system. Comes with fully charged battery and metal key ring. Includes a new battery and Directions. Does not have the Viper emblem on it. 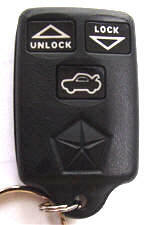 Factory original keyless remote transmitter. Must be programmed by Dodge Dealer. 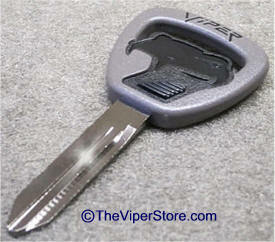 For Viper RT10 1995-1996 only. Not for Viper GTS. 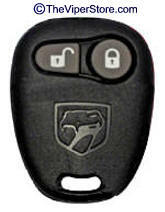 IH-0486-5431AA Dodge Viper RT-10 (97-02) and GTS (96-02) Factory Keyless Remote Entry (FOB) with Viper head logo. 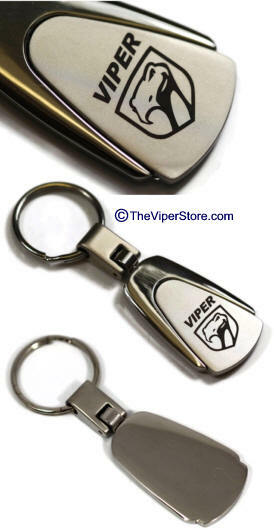 This is a brand new factory remote that includes a Viper Head Logo engraved on it. 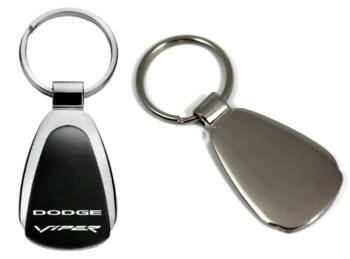 Works on any (RT-10 97-02) & (GTS - 96-02) Viper with a factory keyless remote entry system. Key and FOB sold separately.